Students and youths under the aegis of the National Youth Council of Nigeria have warned both Federal Government and the Academic Staff Union of Universities to end the ongoing strike to avoid violence. The National President of the organisation, Abdulahi Abdulmajeed, lamented that the impact of the strike had become unbearable for youths in the country. Speaking at a press conference in Lagos, Abdulmajeed explained that it was unfair for the two parties to keep millions of youths at home because of a “dishonored” agreement. He said, “While we appeal to both the FG and ASUU to find a solution to the strike, we say with dismay that the consequences of the strike are becoming unbearable for Nigerian youths. Every society that fails to make peaceful resolution possible in the first place makes violent resolution inevitable. “It is not in our habit to adopt a violent approach. Dialogue, we believe, is the best option. We shall consult and consult, consolidate on our consultations, before we can be talking about confrontation and protest. 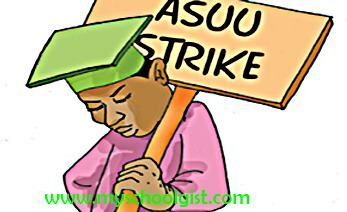 Every time there is an ASUU strike in Nigeria, neither ASUU nor government loses but the Nigerian youths are always at the losing end. “NYCN believes that the lecturers may have a point, but it is also a fact that they are losing credibility in the eyes of several Nigerians. He noted that the strike was making youths more unemployable, adding that the NYCN would set up a mediation committee with the aim of resolving the issue. Previous Post: Will You be Able to Afford that Foreign Degree Without Going Bankrupt?